Hello and welcome! Susie here today and I am sharing another bit of inspiration for our challenge this month - Tag It! 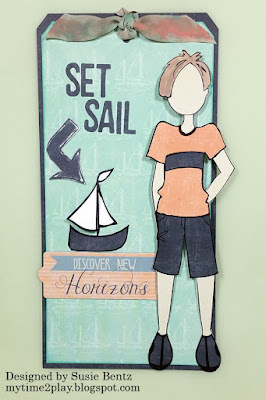 I chose paper #106 from the Anchors Aweigh collection as the main back drop for this tag. I love the lightly drawn ships on the light green cardstock! I cut it slightly undersized and then backed it with a full size navy tag cut from paper #107. 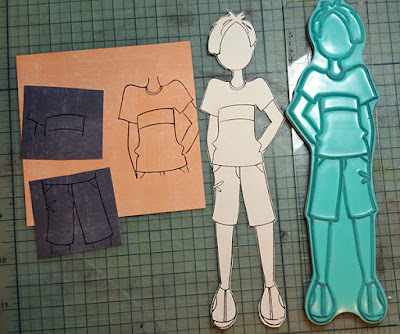 I stamped the male figure onto a neutral cardstock and trimmed him out. His clothes were then stamped unto other papers from the same collection. 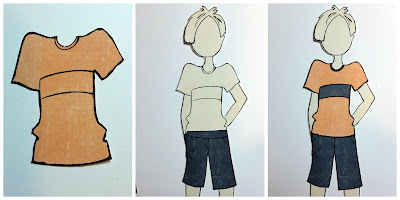 When I cut the clothes out I made a point to cut just a tiny bit outside the line and used a black marker to darken the edges. That way when I layered the clothes onto the male figure they completely covered the clothes beneath. Next I added die cut words & an arrow, a stamped sailboat, and a ticket from the Anchors Aweigh Chipboard Die Cuts! I decided to custom color a ribbon to use on the top of my tag. First I, pulled the ribbon across the Peach Tree PowderPuff Chalking Ink pad. I spritzed water on my craft mat, swirled the ribbon in it to more evenly distribute the color, then dried it with a heat gun. I repeated the process using the Aqua. 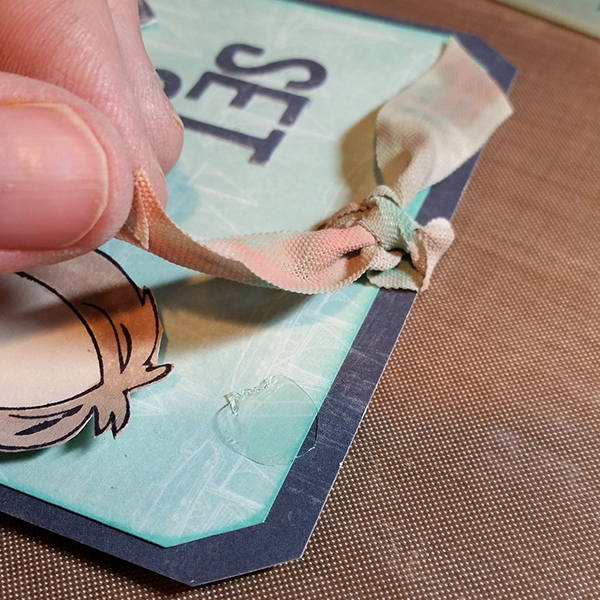 When I tied the bow at the top of the tag, I trimmed the ends and used Zots adhesive to hold the tails in place. Be sure to get your entry in the Tag It Challenge #62 by April 25th to be eligible for a chance to win!